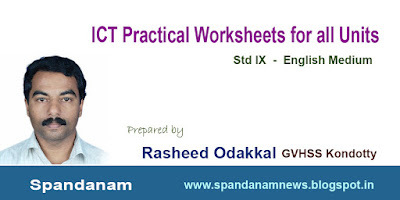 In this post Sri Rasheed Odakkal, GHSS Kondotty, shares with us the worksheets of ICT lessons of Class IX in kerala syllubus. All units have been included in this worksheet. It will be very helpful for both the teachers and students. 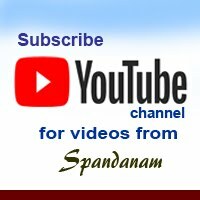 Team Spandanam expresses heartfelt gratitude to Sri Rasheed sir for the efforts he has taken for preparing such a valuable learning aid. 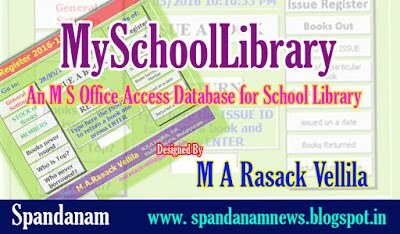 The file can be downloaded from the link below..